Used Tire News-Deerfield Beach, Fl-In a decades-long fight with new tire makers Goodyear, Bridgestone/Firestone Pirelli leading the way and using USTMA their K Street lobbying group. Spreading half-truths and lies about used tires. They are systematically having laws about used tire sales enacted state by state. They use Buzz words like Potentially Dangerous Product well you made it,.You sold the consumer a bill of gods that it had 40.000 or 5000 miles in tread life. Then when only 10 or 15000 miles are used and the tire gets put into the recycling stream by you and your customer. Tire recyclers who you contract with, cull and sort these sellable used tires, and you complain and spread lies. The real facts are new tire makers do not like the fact used tire sellers exist worldwide. We have never had a vehicle to band together like the internet.W e used tire sellers on all levels from the largest Liberty, Lakin, Emmanuel the Europeans Karger, Klausmeier, Japanese used tire exporters and resellers that are handling Millions of scrap tires and reselling used tires. Our time has come to utilize the internet to call out Big Rubber. 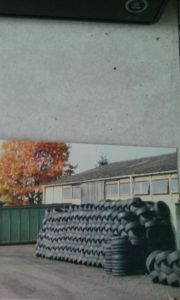 www.usedtires.com Please like us on Facebook and follow us!